"Great Scott!" Doc Brown joins the ever growing Vinimates line! 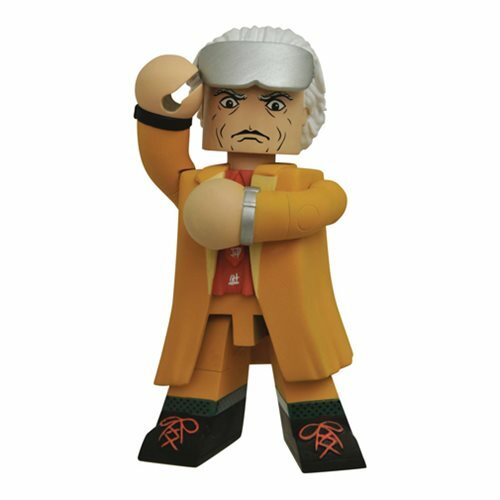 This 4-inch vinyl figure is based on the second Back to the Future film sculpted in the Minimates block-figure style, wearing his classic outfit from the movie. Doc is posed in an iconic pose from the film and also features an articulated neck for further posing options. Collect Marty McFly to complete the set (sold separately)! This Back to the Future 2 Doc Brown Vinimate Vinyl Figure comes packaged in a full-color window box.